A.L.M. 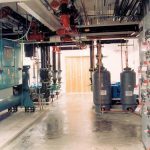 Consulting Engineering, Inc. has a vast range of experience for engineering HVAC and Plumbing systems for banking institutions. We have provided designs for 8 different institutions and 21 different branches. A.L.M. Consulting Engineering, Inc. is highly qualified for bank designs and understands the mechanical engineering needs and concerns presented by the banking industry. This bank is 13,000 ft2 and was built in the 1970’s. This bank was a very challenging remodel. All of the bank building was remodeled. This building had several different roof and ceiling levels that were not accessible at the time of design.There were not any accurate as-built plans to work from either. A.L.M. Consulting Engineering, Inc. spent a lot of time at the site to insure the overall success of this project. The end result was a client and end user that were satisfied with the comfort of their newly remodeled bank building. Bank branches are 2,000 ft2 to 6,700 ft2 and are served by roof-top package units. This branch is 5,400 ft2. The bank is heated and cooled by an air cooled chiller with reverse return chilled water piping and air handlers with electric heaters. This bank is approximately 1,400 ft2 and is served by air to air package heat pumps. This bank is approximately 3,000 ft2 and is served by package DX cooling systems with natural gas heating systems. This bank is approximately 4,600 ft2 and is served by package DX cooling systems with natural gas heating. This bank is located in Downtown, San Diego. The bank is served by variable air volume (VAV) systems with dual duct VAV boxes. This project consists of approximately 8,000 ft2 (two stories) of corporate offices. 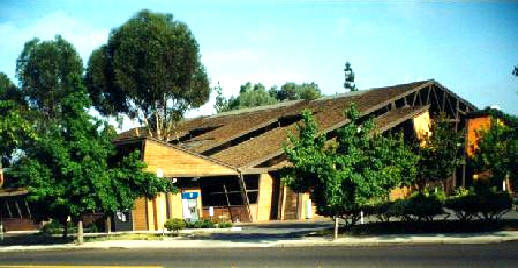 The project is very high profile for Grossmont Bank. The bank’s president, vice president, and top executives occupy these offices. The offices are heated and cooled by 16 water source heat pumps. Exceptional considerations for sound/noise, looks, and performance of the HVAC systems were required for this project. This is a 3,900 ft2 bank heated and cooled by direct expansion heating and cooling systems. A.L.M. Consulting Engineering, Inc. also provided plumbing engineering for this bank. This bank is approximately 6,000 ft2 and heated and cooled by variable air volume (VAV) air handlers with heating hot water coils on the outlets of the VAV boxes. This bank is approximately 1,200 ft2 and is located in a shopping mall. The bank is heated and cooled by a central variable air volume system (VAV) with VAV boxes with electric reheat located in the bank’s tenant space.